The Consumer Electronics Show serves as a breeding ground for the most wanted and high-tech gadgets to hit the future consumer market—with smartphones sitting atop of the throne. Last year’s exhibition speaks for itself as Motorola stole the show by welcoming two of the biggest and highly anticipated handsets of 2011 in the universally acclaimed Atrix 4G and Droid Bionic. Android phones continued to dominate at this year’s show thanks to strong outings from Samsung and even Sony. But it was Microsoft, along with the worst cell phone carrier, yes, AT&T, who shocked attendants by ushering in the next wave of Windows Phone 7 and LTE devices. Over 12 handsets on display, but only five impressed. 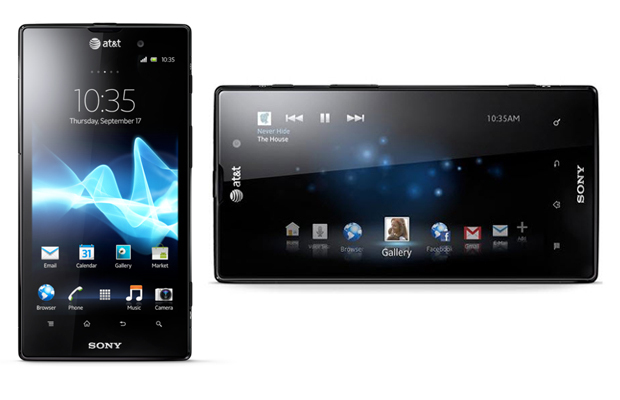 Take a look at the 5 Hottest Smartphones Announced at CES 2012. 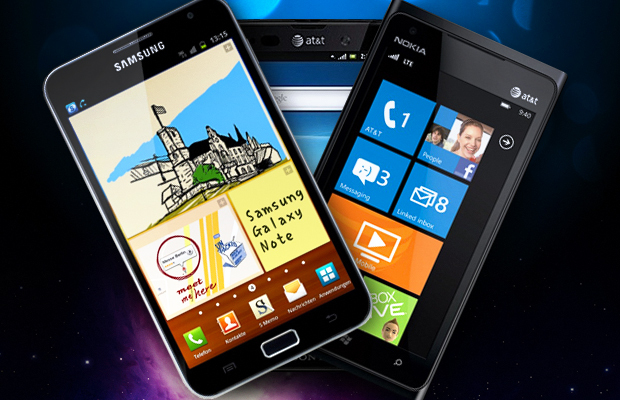 Techsperts across the board have given Best of Show honors to Microsoft and Nokia’s mobile lovechild. And judging by the first-hand impressions shared on the big tech blogs, the Lumia 900 fits the crown. The Mango-fused handset tackles a beautiful 4.3-inch ClearBlack touchscreen and Qualcomm 1.4GHz single-core chip that should generate dual-core benchmarks with the assistance of Microsoft’s intuitive and speedy OS. However, the phone’s biggest feature comes in the form of LTE support: making it Nokia’s first-ever 4G phone. If it’s anything like the LG Nitro HD, expect some ridiculous speeds. 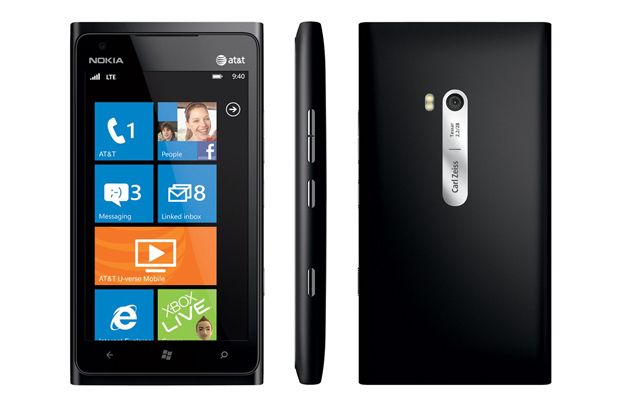 Include the option of a cyan or matte black finish, along with a slimmer profile in comparison to the 0.45-inch-thick Lumia 710, Nokia’s ready to play in the big leagues. 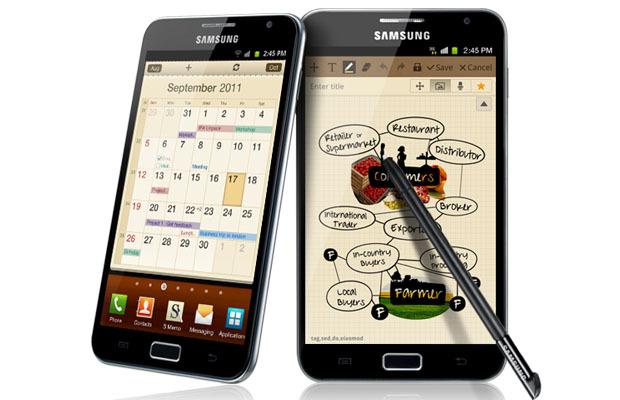 Samsung looks to bridge the gap between the smartphone and tablet with the inception of the Galaxy Note. The device welcomes a mammoth 5.3-inch Super AMOLED display and introduces a stylus labeled the “S Pen,” used in collaboration with Samsung’s S Memo app to snap pictures, write notes, draw, and record audio. In short, picture capturing images and being able to edit, draw or annotate them instantly. A 1.5GHz dual-core processor, LTE service, 16GB of memory, dual-cameras (8MP rear and 2MP front), and 250 mAh battery rounds out the notable fancies. Samsung’s hybrid handset could serve as a precursor for the highly anticipated Galaxy S III due later this year. Another first for another mobile manufacturer, as Sony’s Xperia series introduces its first LTE-enabled handset to Ma Bell’s smartphone line-up. While the company’s previous offering in the Xperia Play failed to capitalize on the portable gaming market, the Xperia Ion is targeted at a different audience: mobile photographers. With two HD cameras headlining the spec sheet, shutterbugs can expect to shoot 1080p clips from the phenomenal 12MP camera and 720p videos via front-facing shooter. The former is said to go from standby to first shot in 1.5 seconds. Stare at captured footage on the 4.6-inch display and browse through your library with ease thanks to the 1.5GHz dual-core under the hood. Internal memory is maxed at 16GB, just the right amount of storage capacity to share and stream content through DLNA, HDMI, and Bravia Sync support. An ICS update is being tipped for Q2 as well. After weeks of speculation and a “cancelled” holiday launch, Motorola finally makes the Droid 4 official at this year’s CES. 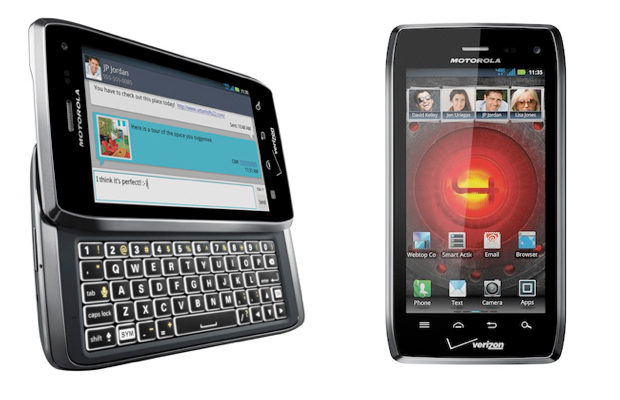 The latest addition to Big Red’s Android roster steals a few pages from the Droid RAZR, from the slimmer design to its processing power (1.2GHz dual-core). Only difference here lies in the slide-out QWERTY keyboard, which is billed as the series best and should produce faster and more accurate keystrokes. It’s also the first Droid phone in the series to run on Verizon’s lightening fast LTE network, a major facet that was hugely missed in the ill-fated Droid 3. Moto also promises an ICS update—a great insurance policy to guarantee longer shelf life, especially since announcing it will not flood the market with smartphones in 2012. Riiiight. 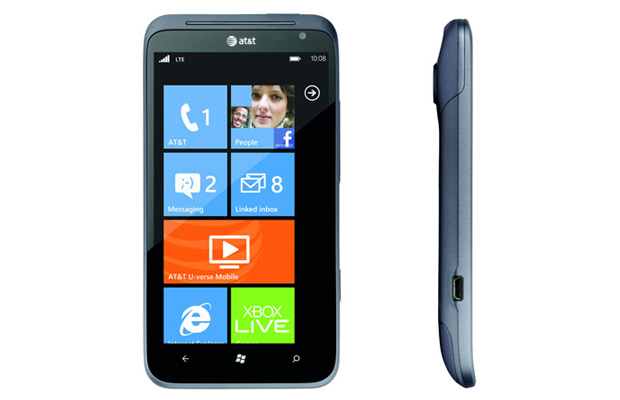 Microsoft’s second biggest smartphone at CES marveled Windows Phone 7 pessimists with its larger-than-life elements. Bearing a 4.7-inch super LCD display, consider the HTC Titan II a mini-tablet of sorts. But it’s the jaw-dropping 16MP camera that could revolutionize the way we capture photos on a mobile device, offering a feature set consisting of image stabilization, dual-LED flash, red eye reduction, and a wide-angle lens. Power isn’t just limited to the Titan II’s shooter, as owners can expect great multitasking and speed results from Qualcomm’s 1.5GHZ Snapdragon S2 CPU. Not sold yet on the Mango handset? The integration of AT&T’s LTE network and 16GB of onboard memory should have you cashing in.